The biggest steel producing city in China, Tangshan, has announced it aims to cut capacity by 8.6 million tonnes in 2017. The city has come in for heavy criticism due to the exceedingly high levels of pollution caused by the city, which primarily comes as a result of the vast amount of steel produced. Local leaders set the 2017 closure target during an annual economic work meeting this week, according to an announcement on the city government's website. They also agreed to cut iron smelting capacity by 9.33 million tonnes and shed 1.1 million tonnes of coal capacity. Prior to the announcement of a ‘war on smog’ in 2014, the city was producing an astonishing 100 million tonnes of crude steel ever year; to put it in perspective, the UK produced 11 million tonnes of steel in 2015. The city promised in 2014, that it would cut production by 40MT between the years 2013-2017; as of November 2016, they had cut it by 31.86MT. Tangshan, about 160 miles from the capital Beijing, has been shrouded in hazardous smog for much of the past two weeks, and it announced a new pollution "red alert" on Tuesday that forced most of its industrial enterprises to suspend operations. 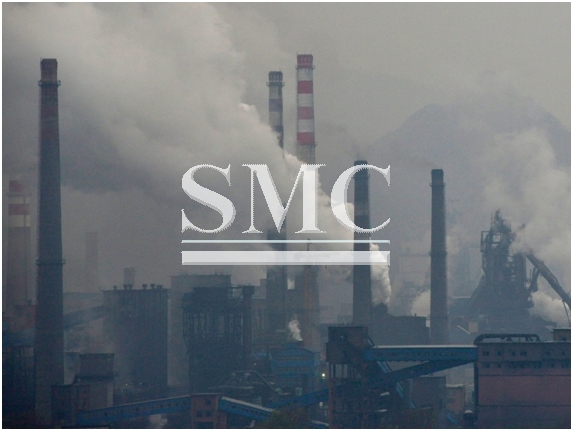 Hebei province as a whole has pledged to cap its total annual crude steel capacity at 200 million tonnes by the end of the decade, down from 286 million tonnes in 2013.